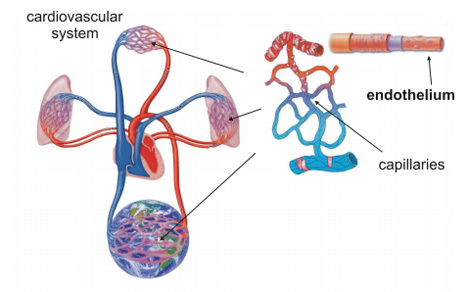 The word ‘endothelial’ is probably not a common part of most people’s vocabulary. It describes the type of cells that form the inner lining of your heart, which we’re sure you think about every day. One group of scientists hopes so. 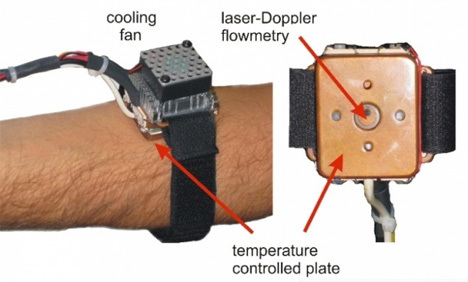 Working from Lancaster University in the UK, they’ve created what they call the “endotheliometer,” which they think could be “the thermometer of the 21st century.” It’s basically like a watch in reverse; it fits on your wrist and instead of giving you time, it takes it away by notifying you of your imminent cardiovascular problems. Ok, it’s not quite like that. The designers suppose that good health and good blood circulation go hand in hand. The endotheliometer is able to monitor heart-generated pulse waves directly related to the endothelium, which steadily declines with age. This could lead to the detection of problems with blood pressure, clotting and circulation. It could also lead to you impressing you friends by working ‘endothelial’ into a sentence. See more in Medical Marvels or under Science. August, 2013.